I wasn't sure if I'd have anything to show for this year's Tops, Tanks, and Tees Knit-along. 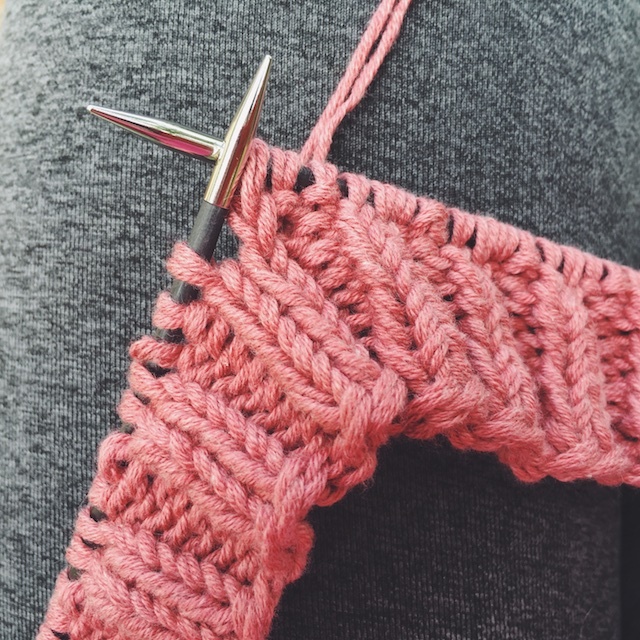 It's been crazy time around here, so I haven't had as much knitting time as usual. But, I did sneak in at least one finished tank with this very summery test knit for Tara-Lynn Morrison of Good Night, Day. 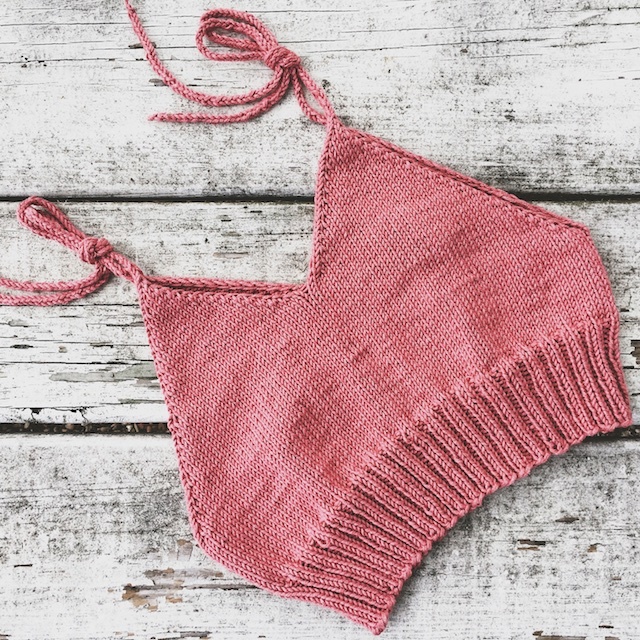 It is her Napanee Halter Top and it's a must knit for warm weather. Faded Red. I have to say that this yarn, though partly acrylic, was buttery smooth. It has a durable feel to it, too. 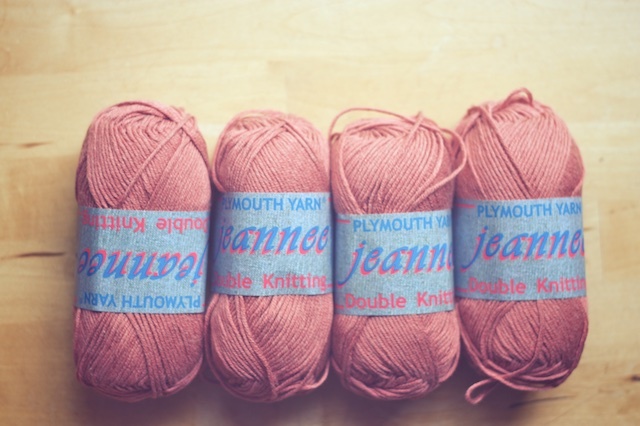 My Jeannee was Dk weight, but I linked to the worsted because that's the recommended yarn weight, and what I would've preferred using. Regardless, look at that color! I think the ties at the shoulder not only give some flexibility in fit, but are also a nice design feature. There is little as satisfying to me as knitting I-cord ties. I don't know what it is about them, but I really like it. Kind of like popping your knuckles or licking a beater after making pudding. Now I want one in a denim yarn I have stashed, and my daughter wants one in this color, too. Since it worked up so quickly, it's an easy knit to gift without getting bogged down and having the WIPs pile up. 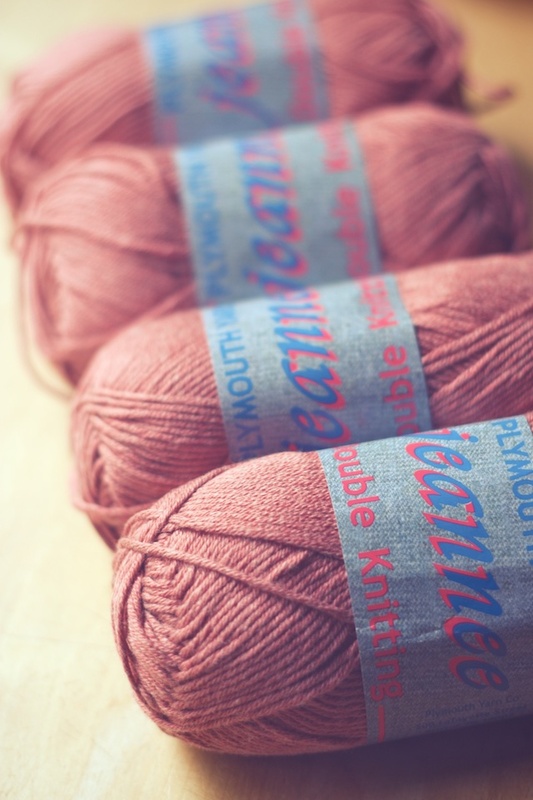 Napanee had been released now and is on Ravelry. 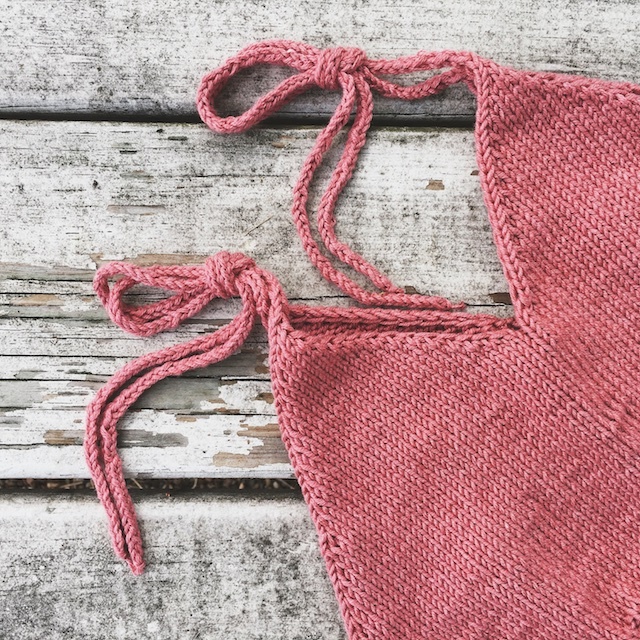 If you're not the knitting type, you can find one hand knit by Tara-Lynn in her shop. Oh, and the crazy time has hopefully come to a close, as my grandmother's home is officially sold and our responsibilities have been cut to a more manageable size. She and I sighed in relief over ice cream after leaving the title company.